Last Updated: March 9, 2018 | Subscribe to our weekly newsletter! 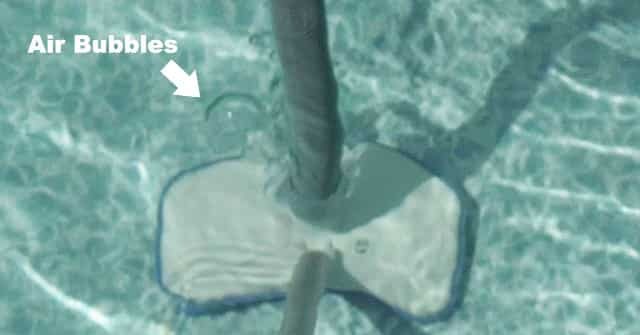 Important: If you use this method, your pool water level is going to drop while you vacuum the pool. 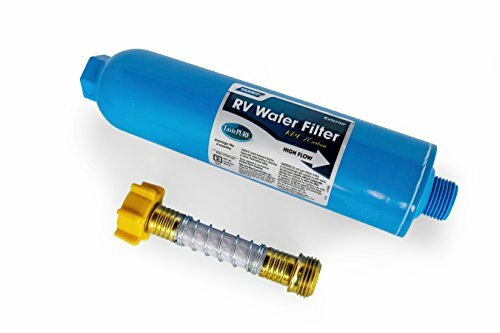 Use a garden hose with an attached hose filter If you click this link and make a purchase, we earn a commission at no additional cost to you. 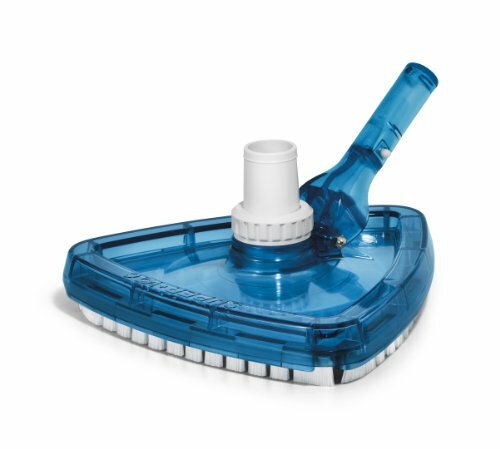 to add fresh water while you’re vacuuming and keep air out of the skimmer inlet. Often called “push-pull” valve filters, these are more common on smaller pools. They won’t have a “Waste” option. Instead, with this system’s only setting—”Filter”—all the water you vacuum will be pulled into—and cleaned by—your pool’s filter. 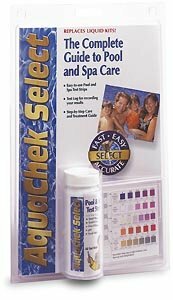 The cleaned water is then sent back into your pool. Important: This setting is perfect for routine cleaning, provided you backwash the pool filter while and after you vacuum the pool. Ensure the pump and filter are running. Attach the vacuum head If you click this link and make a purchase, we earn a commission at no additional cost to you. to the open end of the telescopic pole. Attach one end of the hose to the vac head. If the hose is slippery, use a hose clamp to keep it in place. Place the vac head, telescopic pole If you click this link and make a purchase, we earn a commission at no additional cost to you. , and hose in the pool, making sure the vac head rests on the pool floor. 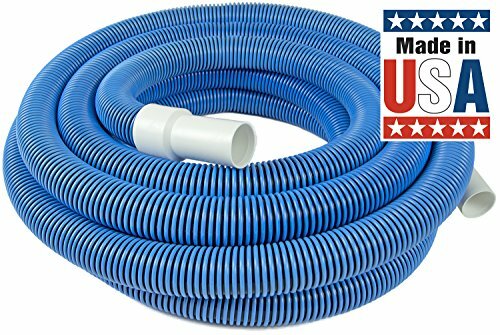 Place the other end of the vacuum hose If you click this link and make a purchase, we earn a commission at no additional cost to you. against a return jet in the pool. 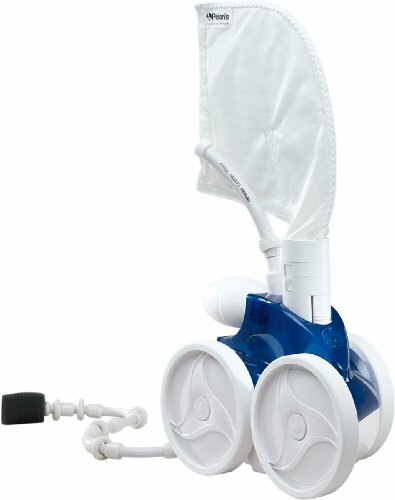 This will push water through the hose and drive all the air out. Triple-check to make sure the vacuum inlet is the only line open to the pump. If not, particles and debris will also be sucked in by the pump and undo all your hard work. NOTE: You’ll see bubbles rising from the vacuum head on the floor of the pool. Once the bubbles stop, all the air is out of the hose. Attach the vacuum plate If you click this link and make a purchase, we earn a commission at no additional cost to you. to the end of the hose you’d previously placed against the return jet, block the opening with your hand, and bring it over to the skimmer. Be sure to create a good seal or suction will be lost. If you’re not using a vacuum plate, remove the basket inside the skimmer, and, using your hand, block the end of the water-filled hose. Then place the hose into the skimmer, making sure it’s firmly inserted into the suction hole at the bottom of the skimmer. NOTE: Whichever method you choose will create the suction that pulls material through the vac head, up through the hose into the skimmer, and then through the filter system. If your vacuum loses suction, just follow the prep steps again to restore it. We’re not gonna lie. You’re in for quite a workout if you’re going to vacuum your pool by hand. And it’s going to take some time, too, so don’t make any other plans for the afternoon. Start at the shallow end and slowly move toward the deep end of the pool. Use long, slow, sweeping strokes to clean. Make sure your strokes overlap slightly to avoid leaving any debris behind. Not to belabor the point, but this is no time to go for the world pool cleaning speed record. As the Beastie Boys might say, slow and low is the tempo. Rushing will just kick up debris, which will reduce visibility and take hours to settle down again, leaving you on the hook for another super-fun session of vacuuming your pool. If you’ve got a load of debris, you’ll likely kick up a cloud no matter how careful you are, but there’s no need to make more work for yourself by hurrying. If the water does become cloudy, give it a couple of hours to resettle, then come back and vacuum again, repeating as necessary. If the vac head becomes stuck, switch off the pump for a second to break the vacuum force and set it free. Also, be sure to monitor your pool filter’s pressure gauge as you vacuum. If the pressure rises above the levels recommended by the manufacturer, take a break, and backwash your filter. When you’ve finished cleaning your pool, remove the vacuum head from the telescoping pole, and drain any water still in the vacuum hose. 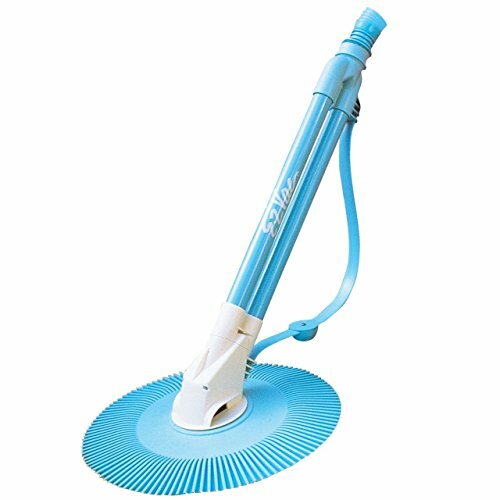 Attach your cleaning brush to the pole, and use it to scrub away any algae, dirt, and debris from the sides of the pool. Clear any debris in your pump strainer basket, and give the filter a final backwashing if you have a multiport system and used the “Filter” setting. If you used the “Waste” setting to vacuum the pool, make sure you switch the valve back to the “Filter” setting, and keep adding fresh water to your pool until the water level is restored. Once you’ve topped off your water, test your pool water, and adjust your alkalinity, pH, and chlorine as necessary. Rinse all your equipment with fresh water, dry it, and return it to storage. This will help keep it in top working condition and avoid unnecessary wear and corrosion. You don’t have to dread the vac head! 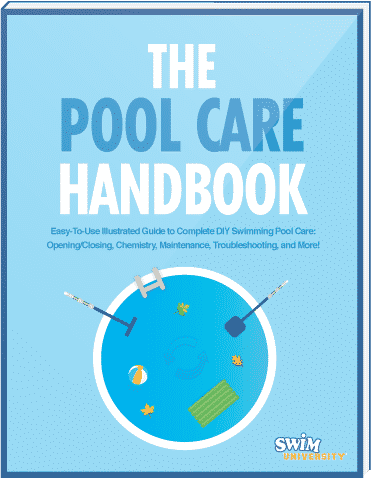 When it’s time to vacuum your pool—whether you’re just the hands-on type or waging war on invading algae—you can get the job done by hand with a little preparation, a lot of elbow grease, and a healthy dollop of patience. What If You Don’t Like Vacuuming Your Pool By Hand? First of all, welcome to the club! While some people find this to be a form a meditation, it’s still a chore. And thankfully, we live in a world of blossoming technology that I can help you task this to a swimming pool vacuum that acts like a robot. Independent cleaners that vacuum your pool using electricity. You plug them in, drop them in your pool, and let them do all the hard work on their own. All you have to do is empty the built-in filter bag when they get full of debris. 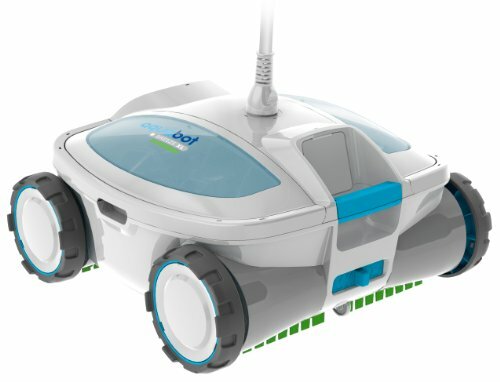 These are by far the best automatic pool cleaners on the market, but they can be a bit pricer. Hey, you get what you pay for. These cleaners hook up to your return line and use the water pressure from your filter system to power a self-contained automatic cleaner around the bottom of your pool to pick up debris into a filter bag. This is just an automatic version of vacuuming your pool manually. They hook up the same way you do when you vacuum your pool manually. The biggest difference, however, is that they move around the bottom of your pool by themselves. That way, you don’t have to stand there in the hot sun and do it yourself. 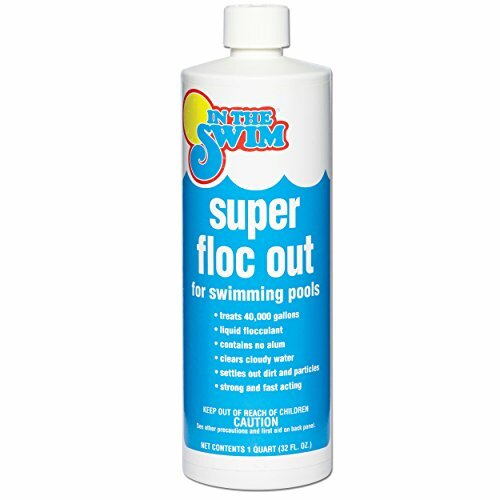 There are many common household products you can use to clean your pool. Learn more about what chemicals are safe to use and how you use them here.